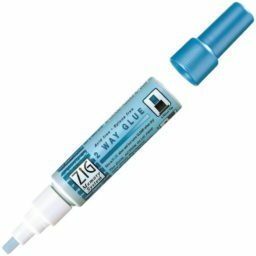 The versatile colour changing formula works for both permanent and temporary bonding. 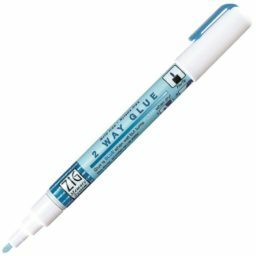 Use when wet (blue) for a permanent bond or let it dry to clear for a temporary and repositionable bond. 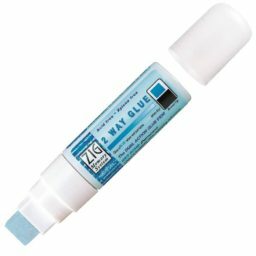 2 Way Glue is acid free and safe for scrapbooking – it’s also great for applying glitter and embossing powders. 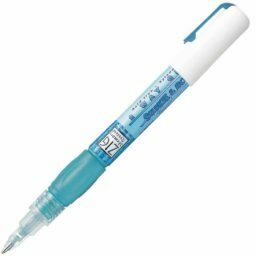 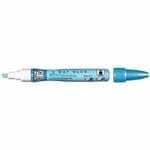 Kuretake 2 Way Glue Squeeze and Roll Fine ballpoint 1 mm line.